I have always been vocal in encouraging people to cultivate their own food. Growing up in a family of farmers, both Mama & Papa were agriculture graduates. And we may have taken a different path in choosing our college degrees but the "farm" has been a part of our life. 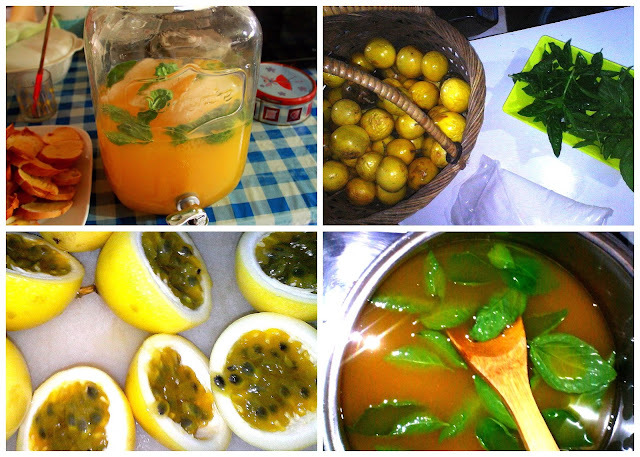 Passion fruit, basil and lanzones are all grown in our garden at home. 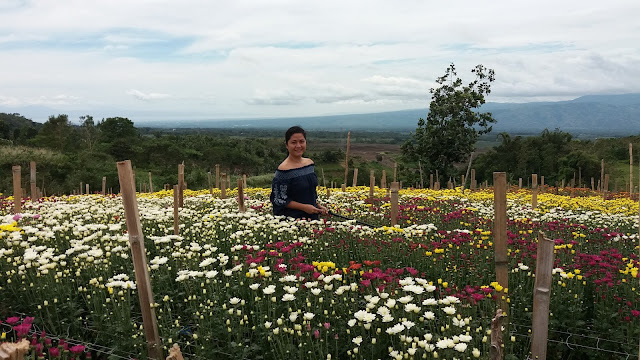 Blessed to be living in the bountiful town of Tupi, South Cotabato, where fruits, vegetables and flowers grow all year round. 1. Combine passion fruit, kalamansi and sugar, then bring to boil. 2. As it boils, scum or bubbles form on top, slowly and carefully scrape it off. 3. Add the basil leaves, boil it for a few more minutes. 4. 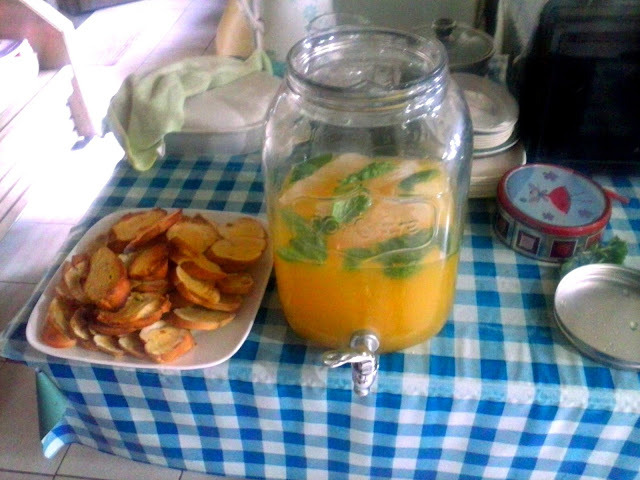 Cool the juice concentrate and store it with the basil leaves. Simply add water to the concentrate to enjoy a healthy passion fruit kalamansi juice. 1. 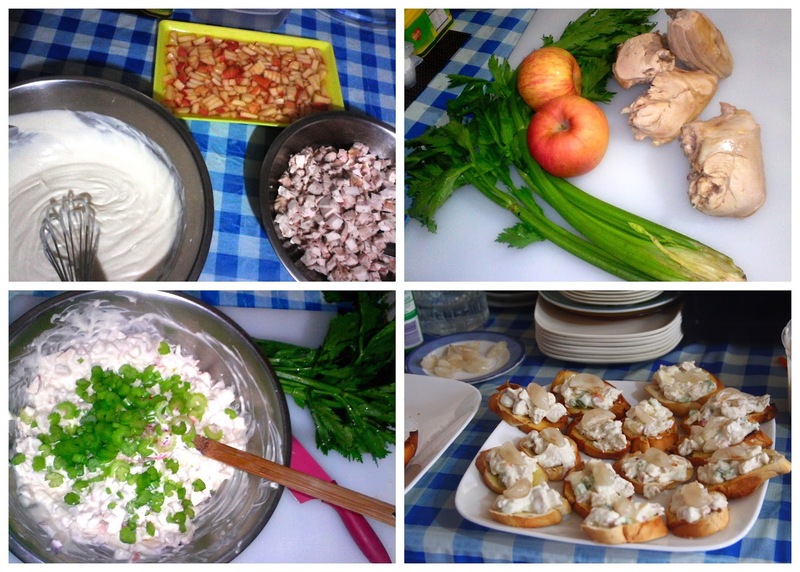 Whip together the mayonaise, cream and pinch of salt. 2. In another bowl mix the chicken,celery and apple. Then add the mayonaise mixture. 3. 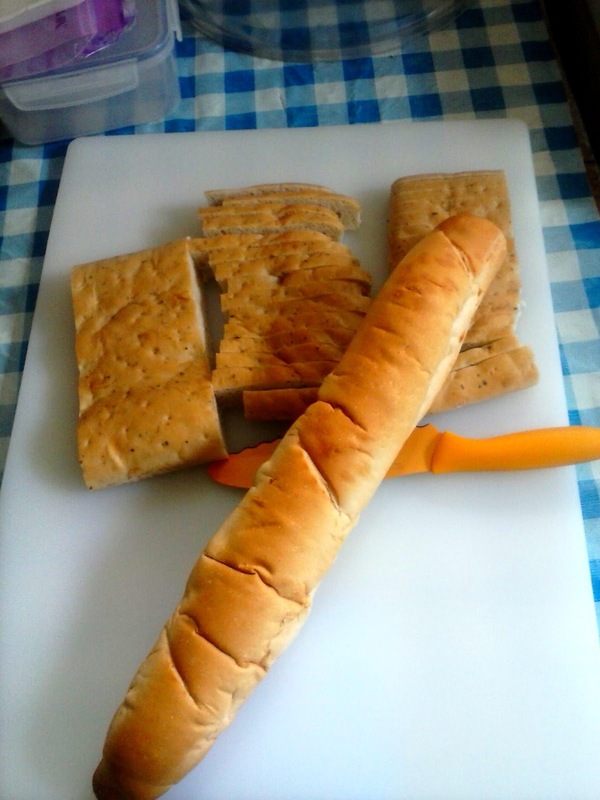 Butter the sliced French bread and baked it for about 2-3 minutes. Top it with the chicken and apple salad. Then put 1 or 2 lanzones slivers. I prefer the longkong lanzones, a seedless variety.